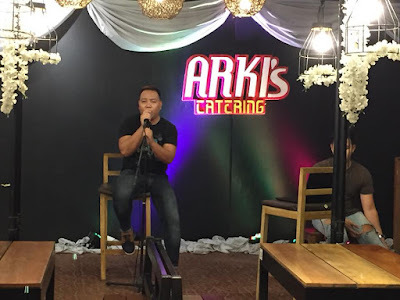 Purple Plum Fairy: Arki's Grill in San Miguel Bulacan: A Taste of Authentic Mookata Dining Plus More! Our table-top burner is fired up, and the special dome grill, with its distinct grooves, is ready for grilling. Architect Ervin Garcia, the restaurant owner himself helped us set up our Mookata because although we've been used to Samgyumpsal, Mookata is something new to us. A light chicken broth (thank God it has no MSG! 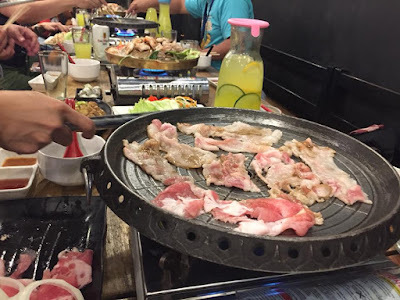 😊👍) is poured on the side of the dome grill, perfect for simmering the fresh vegetables. And as you add the meat and seafood on the dome grill, the rich and succulent juices flow down the grooves to enrich the flavors of the broth. In minutes, the high heat transforms the colors of the fresh ingredients, releasing a fragrant aroma. A quick dab of pork fat on the surface of the grill prepares it for the next round of grilling. 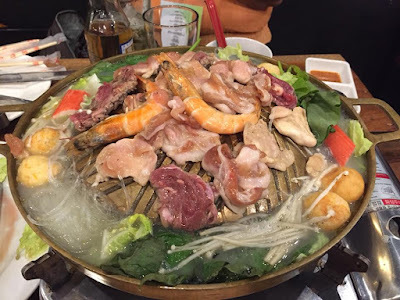 As the fresh meat and seafood are grilled, the chicken broth surrounding the dome grill simmers with the fresh veggies, enriched by the savory juices from the meat and the seafood flowing down the grooves. Arki's Grill serves a sweet and a spicy gochujang type of sauce for the grilled meat and seafood, but if you want it fiery hot, there's kimchi to use along with baby marble potato salad. A bite of the freshly grilled shrimps, followed by a spoonful of the flavorful broth was just perfect to cap the night away. That's the Mookata-style dining experience you can find, only here at Arki's Grill. 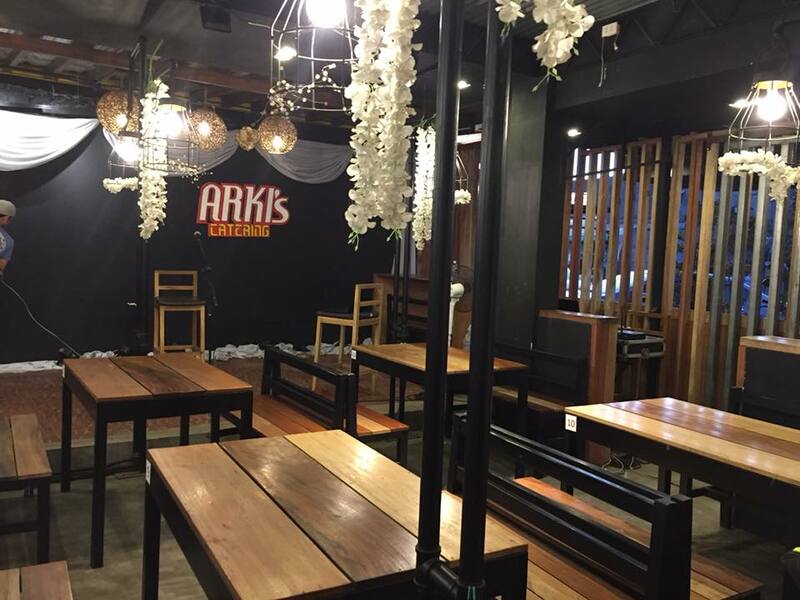 Complete your feast with Arki's Grill Samgyupsal, Tofu Sisig, Beef Bulalo, Crispy Dinuguan, Arki's Sinampalukang Native Chicken at Arki's Vegetable Rolls in Coconut Milk. All of which are perfect with steamed white rice. They are definitely a medley of spices for your discriminating taste buds. 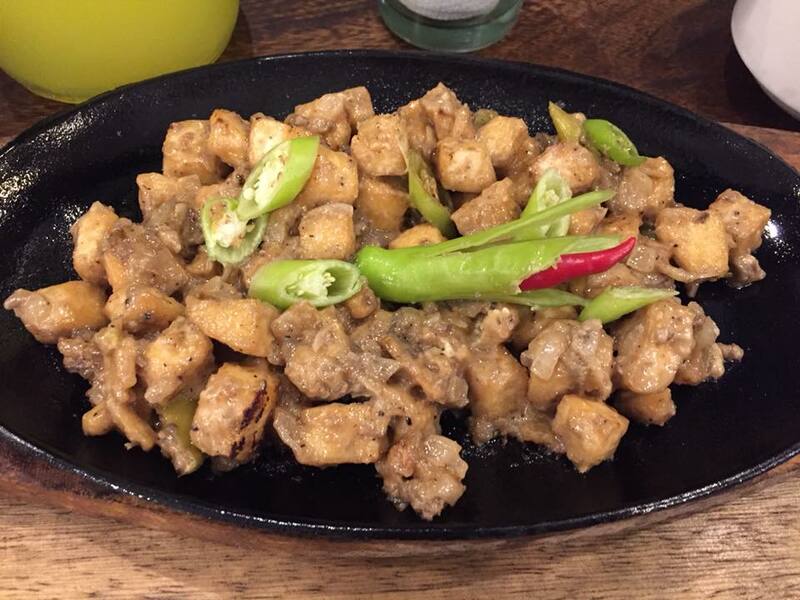 Arki's Grill version of Tofu Sisig could rival Max's Restaurant's vegetarian sisig. I won't be surprised if one day this could have a cult steady following too due to its surprising play of textures. It ticks all the boxes when it comes to the basic description of the Filipino favorite: crispy yet creamy, savory and sour, but tastes nothing like it at all. The tofu has a deep golden exterior, revealing its soft and porous egg-colored interior that absorbs any sauce it is put into. The sauce which lightly coats each piece does achieve both savoriness and sourness, but also has an inherent sweetness that is all its own. 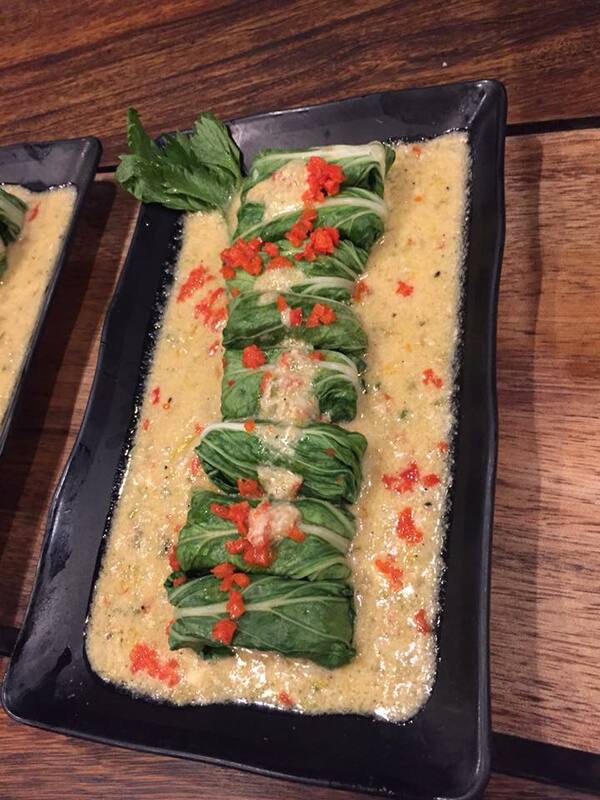 If you’re one of the fervent fans of this sleeper classic, this dish is enough to make you want to go back again and again at Arki's Grill. Instead of the usual pork innards, crispy lechon kawali is used to make this special version of dinuguan from Arki's Grill. Trying their take on the bloody porcine dish--with the pork cooked shatteringly-crips and the sauce thick, rich and creamy. 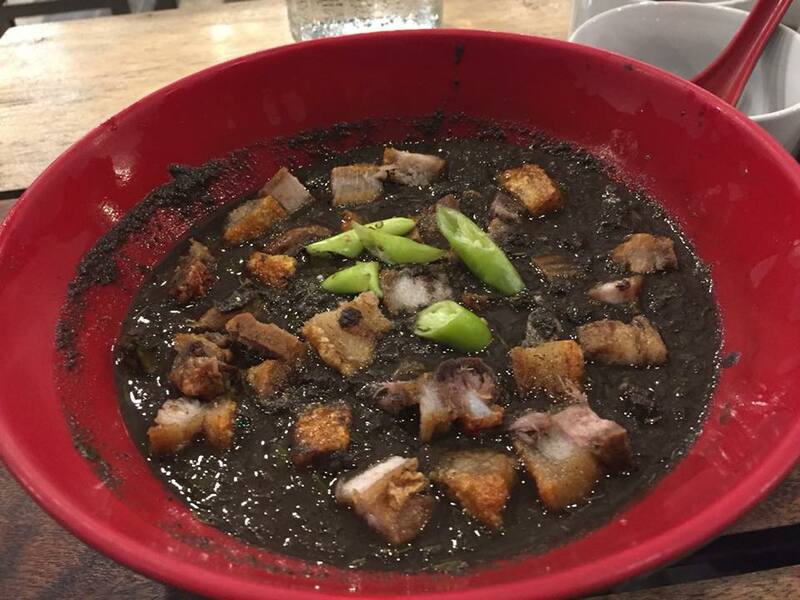 You can forget about the puto, because you'd want to enjoy this heaping with plates of garlic rice. 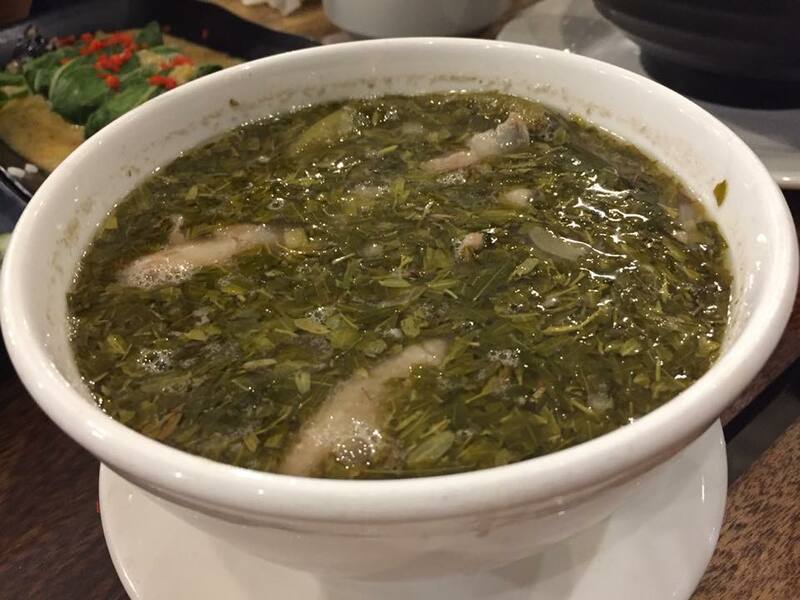 Arki's Grill's version of Sinampalukang Manok made from native chicken (Sour soup with chicken and tamarind grill). 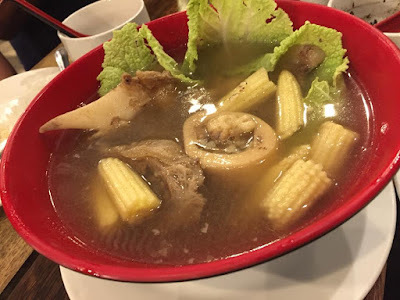 It is a traditional Filipino soup, bone-in chicken pieces are simmered with sauteed aromatics and tender tamarind leaves stripped from their stalks. 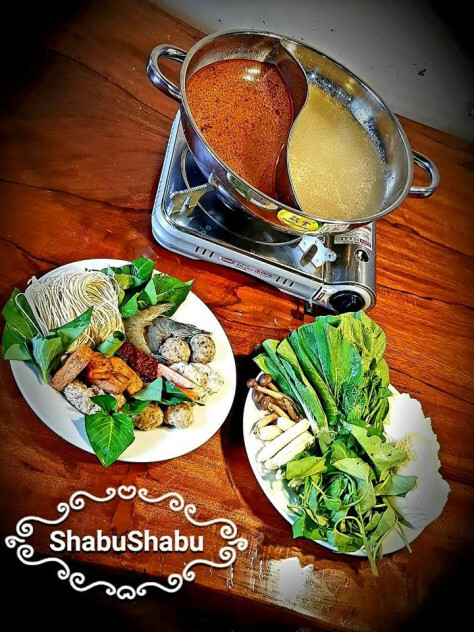 The tamarind leaves make a sour broth balanced by the saltiness of patis (fish sauce). This was also the first time I had tried this fish stuffed vegetable roll with rich, creamy coconut milk. Topped with minced carrots, this dish will keep you asking for a second or even third helping of white rice. 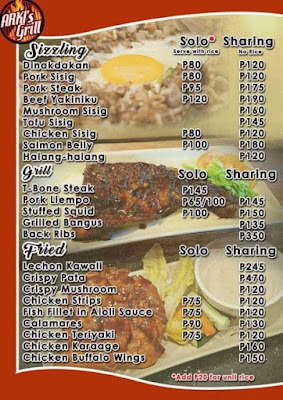 The wide variety of tasty meal options also includes other all-time Filipino favorite dishes. 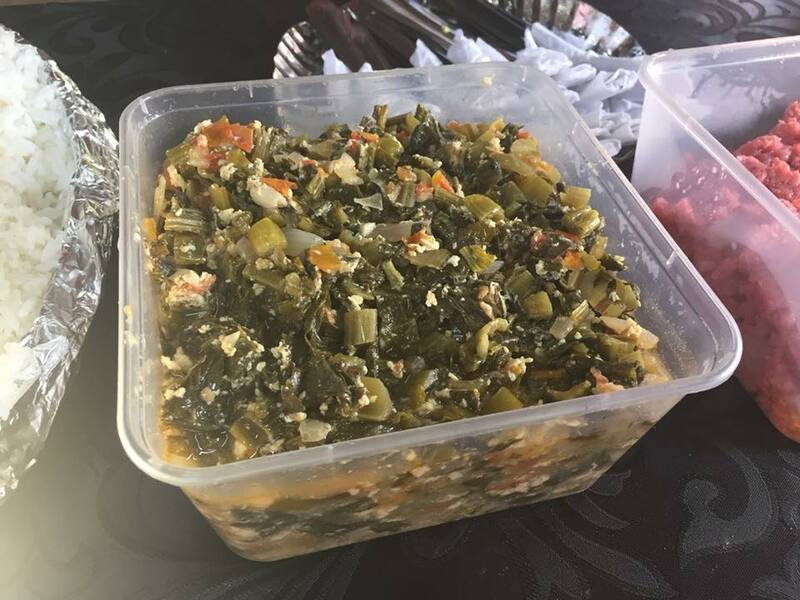 We also had a taste of Arki's Grill' Boodle at the Arki's booth during the recently concluded 1st San Miguel de Payumo Festival. Arki's Grill was one of the many participants for the food stalls in the bazaar area within the San Miguel Church. 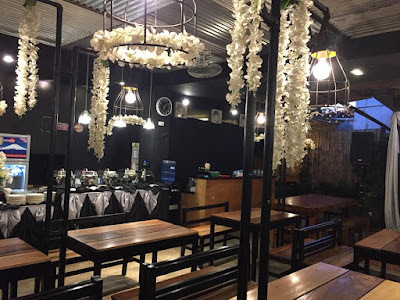 They had decorated their stall with wooden chairs and artificial flowers--the same thing you'd see when you visit their main restaurant along the highway. 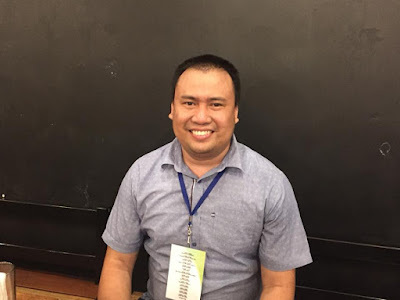 We were served with a Filipino fiesta bilao filled with Pinoy goodies and rice. 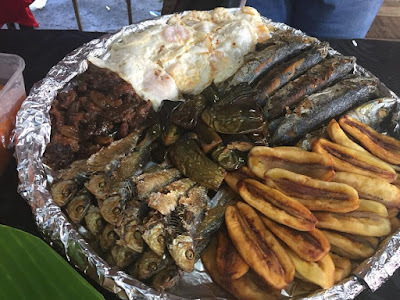 Arki's Grill breakfast boodle meal includes plain and garlic rice, tinapa na galunggong, San Miguel's version of buro, tomato sarsiado, tocino, salted duck egg, ginisang pechay, adobong talong, saba banana, fried egg and deep fried dried fish (tamban). This buro (fermented) from San Miguel Bulacan was my second time to try it. The first one was during our visit to BJ Snack House. At first my good friend Daryll and I thought it was bagoong because of its pinkish color. But it turned out as explained to us that it was indeed buro, a San Miguel Bulacan version. To be perfectly honest, it is an acquired taste. But since I love buro, there's no problem with me. 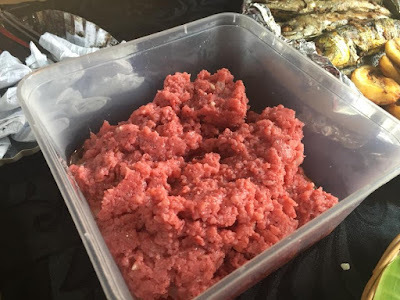 This one goes perfectly well with steamed vegetables or grilled fish. Burong Mustasa or Pickled Flat Mustard Greens is a type of Filipino fermented appetizer wherein flat leaf mustard greens are soaked in a brine solution composed of sea salt and rice water. The latter is the liquid produced after boiling white rice in water. Mustard greens, like spinach, are the storehouse of many phytonutrients that have health promotional and disease prevention properties. 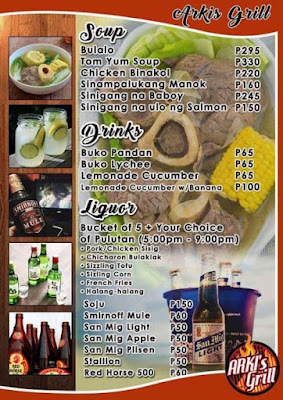 At first sip, you'd easily understand why San Miguel is known for products made from fresh carabao's milk. Carabao's milk has kept a firm place by being the most sought-after dairy ingredient in this side of town. 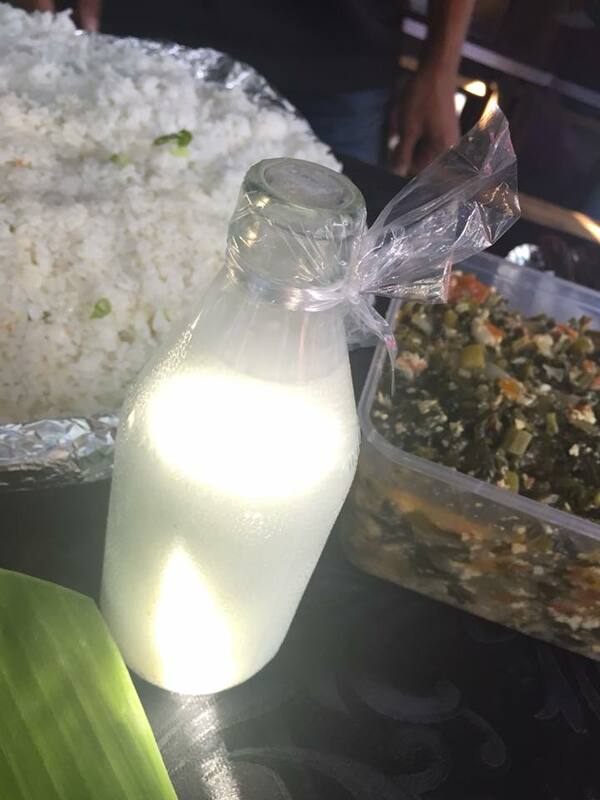 If you loved Magnolia Chocolait during the '90s, you'd definitely enjoy drinking this carabao's milk. 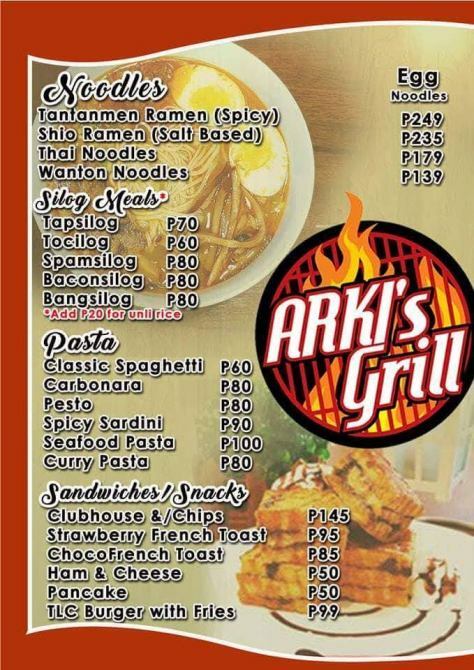 When you're in San Miguel, come and visit Arki's Grill, you're tummies will be thanking you for it. 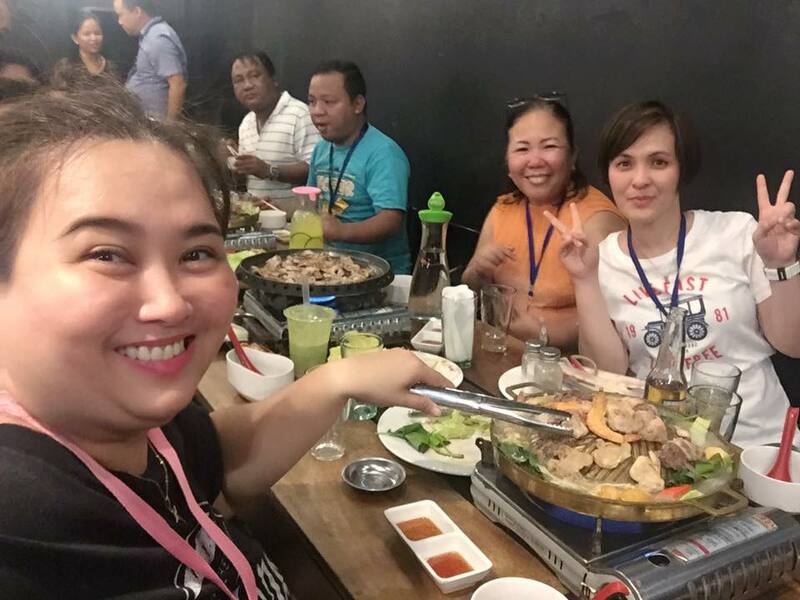 The bloggers give Arki's Grill a thumbs-up at the booth during the San Miguel de Mayumo Festival. 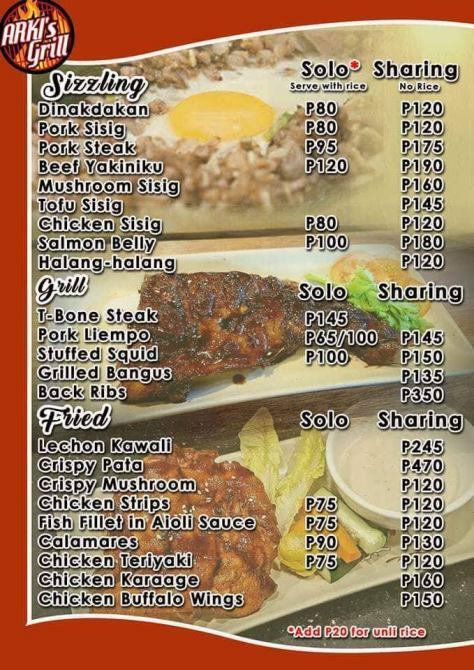 Note: Menus prices posted are subject to change without prior notice, Please visit their FB page for latest updates and promos.